According to Dashlane, the average user has at least 90 online accounts. We trust these accounts to protect highly sensitive information about our social lives, browsing habits, shopping history, finances and more. The only thing between your information and a malicious attacker is your password. That’s a lot of responsibility for a a few characters of (sometimes) arbitrarily chosen text. So what exactly goes into making passwords secure? Most passwords are hashed using a one-way hashing function. Hashing functions take the user’s password and use an algorithm to turn it into a fixed-length of data. The result is like a unique fingerprint, called the digest, that cannot be reversed to find the original input. So, even if someone gets access to the database storing your hash password, there is no key to decrypt it back to its original form. If the the generated hash and the stored hash match, you’re granted access to the account. If the generated hash doesn’t match, you get a login error. 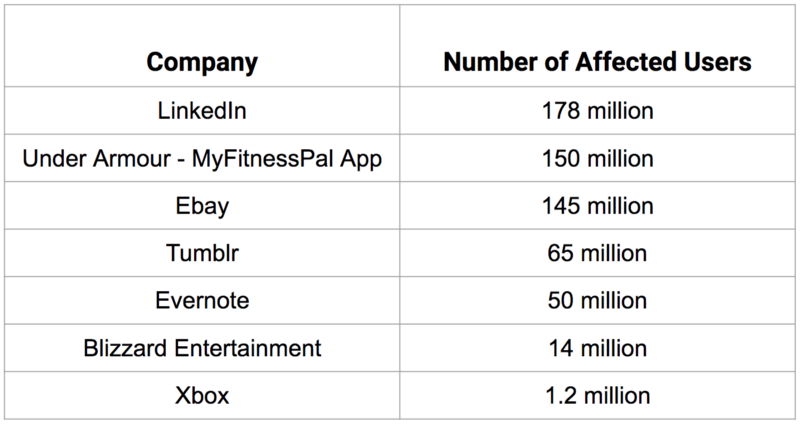 Popular companies that have experienced password breaches in recent years. *Note the difference between lookup tables and reverse lookup tables. Lookup tables begin with the precomputed password guess hashes, while reverse lookup tables begin with the table of password hashes from the user accounts database. Rainbow tables are very similar to reverse lookup tables, except rainbow tables use reduction functions to make significantly smaller lookup tables. The result is a trade-off, where rainbow tables are slower, but require less storage space. The longer the password, the better. A lengthy password is less vulnerable to brute force attacks. Sentences are good. Mix in different characters and numbers. Again, this makes you slightly less vulnerable to dictionary attacks. If a password breach happens with one account, that password hash has been cracked and needs to be changed for every account it’s used on. 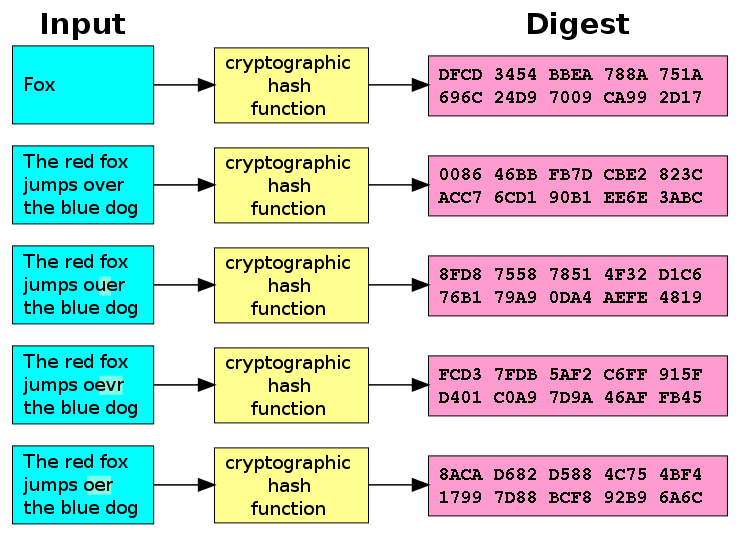 SHA-1 and MD5 are outdated and have already been targeted by numerous table attacks. They are fast cryptographic functions and are therefore easier to hack. Argon2 — Winner of the password hashing competition. Uses a lot of memory, so it’s difficult to attack. PBKDF2 — Has no known vulnerabilities after 15 years of extensive use, although it is lower on memory use. 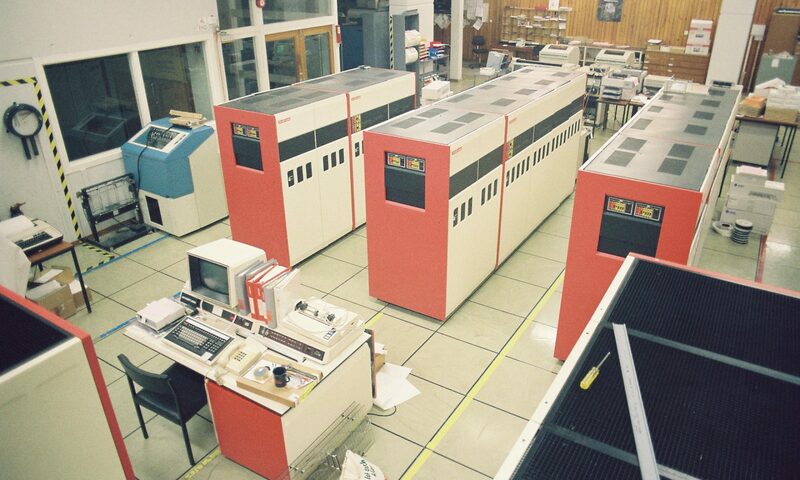 scrypt — Very safe, but may have some limitations because it was not designed for password storage. bcrypt — An adaptive hashing function, can be configured to remain slow and therefore resistant to attacks. A salt is a random string you can add to the password before hashing. This will transform the password into a completely different string and will thus generate a different hash each time. The “better” hashing algorithms listed above all add salts, but if you need to use another hashing function, don’t forget the salt.